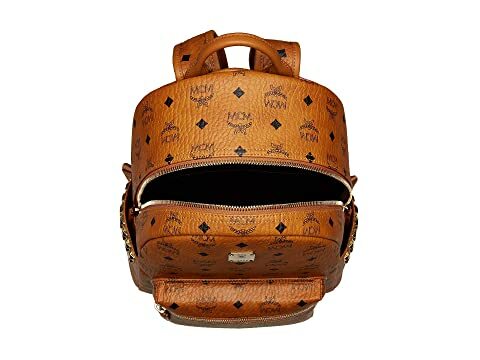 This MCM ® backpack is no ordinary, run of the mill book bag. 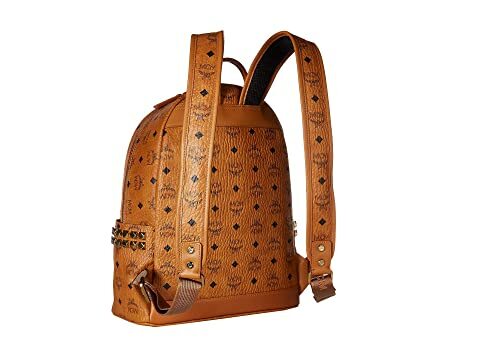 This luxuriously crafted backpack is the ultimate in hands-free fashion! Adjustable backpack straps as well as a top carry handle. Patch hardware at front engraved with brand logo. Dual exterior slide pockets to each side decorated with square hardware. 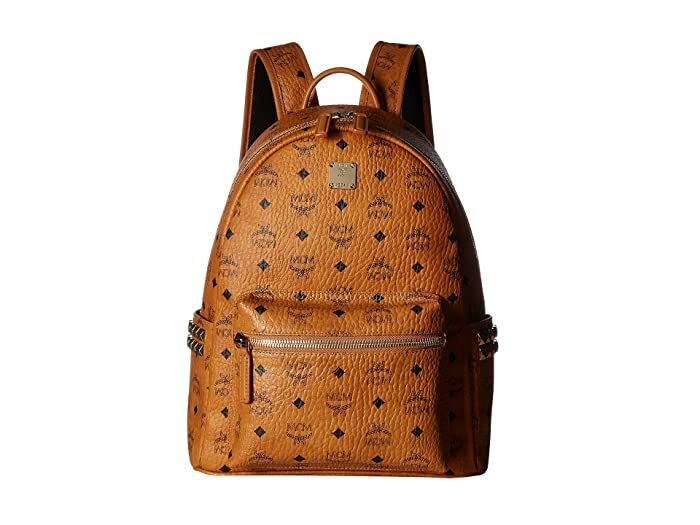 Features iconic brand logo embossed throughout. Spacious leather lined interior features multiple open compartments.